Five members of the Australian Under-25 Devils and two coaches will attend a development camp in Thailand, designed to assist female athletes from all nations in the early stages of their careers. Held from March 24-30, the camp features Isabel Martin (Victoria), Mary Friday (Western Australia), Georgia Bishop-Cash (Queensland), Maryanne Latu (New South Wales) and Taishar Ovens (Western Australia) as well as Queensland coaches Jenny Anderson (Rockhampton development coach) and Dave Hegerty (Devils assistant coach). 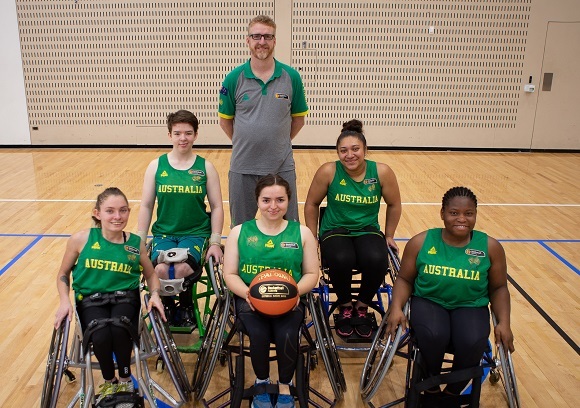 All five players are currently in the Devils squad ahead of the Under-25 World Championships which will also be held in Thailand in May while they competed against Japan during a six-game series at Basketball Australia's Centre of Excellence in January. Bishop-Cash impressed in that series, averaging seven points, five rebounds, 1.5 assists and a steal over the last two games while Latu and Ovens, who gained a starting role through a rotating roster, also showed strong signs. In addition, Latu was a late withdrawal for the Gliders during their Osaka Cup tournament in February where Friday, Bishop-Cash and Martin represented the national team. At the AOZ development camp, athletes from around the world will take part in morning and afternoon training sessions each day, designed to assist in skills and match simulations. Paralympic gold medallist and soon-to-be Australian Basketball Hall of Fame inductee Troy Sachs will attend as one of the camp's coaches alongside German gold medal winning coach from the 2012 Paralympics, Holger Glinicki. Referees and classifiers will also receive teaching from AOZ Technical Officer Matt Wells who then returns to Thailand for the Under-25 World Championships where he will serve as lead referee supervisor/instructor.